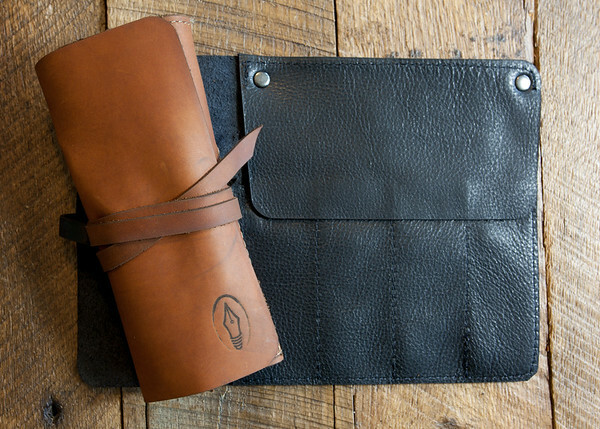 Our leather pen rolls come in a 4 pen version and a 6 pen version. 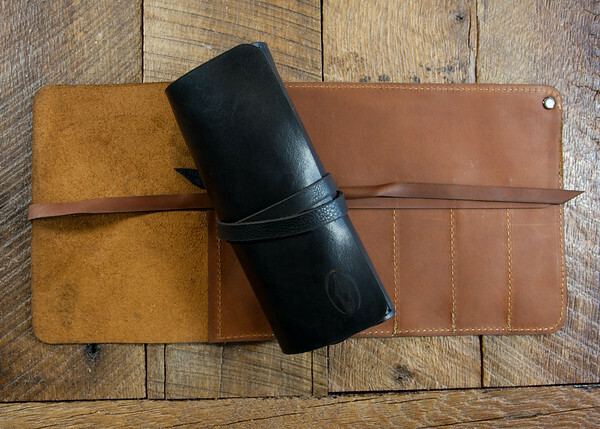 The 4 Pen Roll measures 10″ (25.4cm) by 7″ (17.7 cm) when unfolded, and approximately 4″ (10 cm) by 7″ (17.7 cm) when folded. 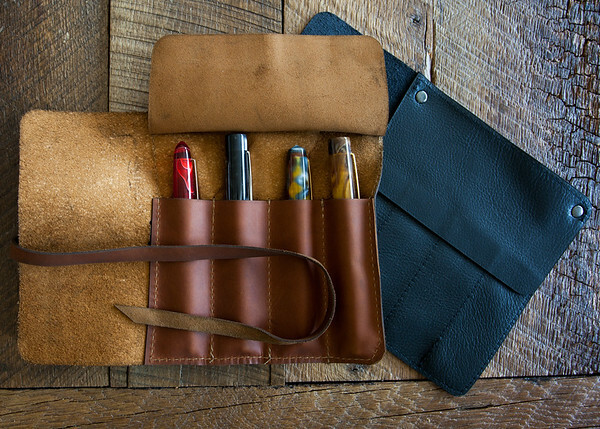 This pen roll will accommodate all Edison Pen models. The 6 Pen Roll measures 14 3/4″ (37.5cm) by 7″ (17.7 cm) when unfolded, and approximately 4″ (10 cm) by 7″ (17.7 cm) when folded. 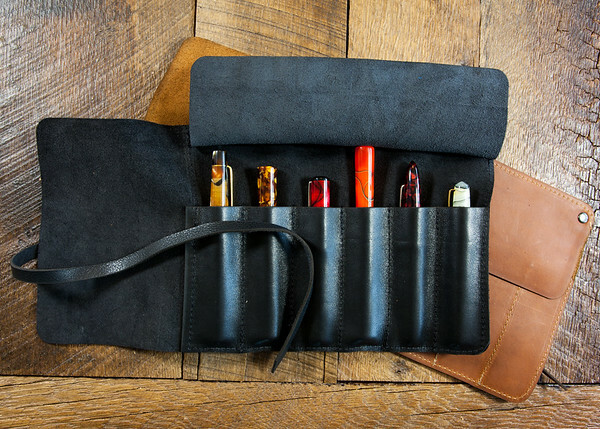 This pen roll will accommodate all Edison Pen models.